Are you looking for a new place to settle down? 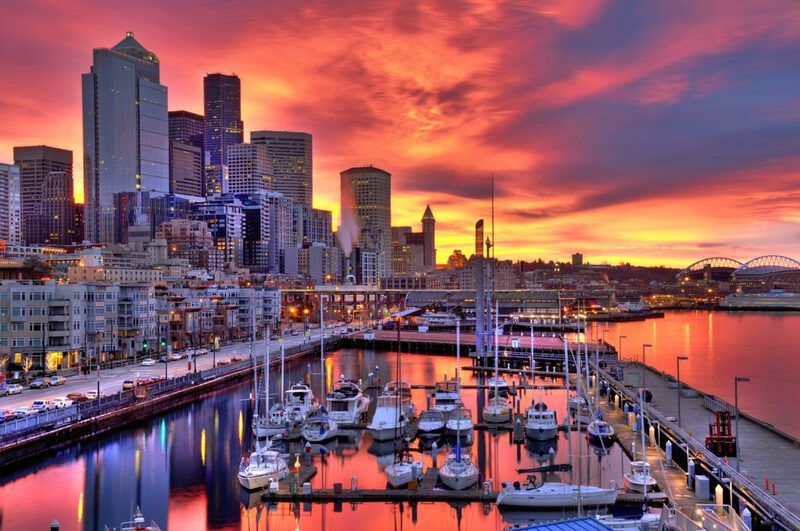 How much do you really know about Seattle, Washington? Seattle has gained a reputation as a rainy city. Although this may be true, in reality, the Emerald City does not receive as much rainfall as many other major cities. There is also a lot to love about this beautiful city. Whether you are into baseball, soccer, or basketball, you will have a blast in this city with teams, such as the Mariners, Seahawks, and Sounders, to cheer for. If you choose to move to Seattle, you better take your camera. Not only are there plenty of mountains around, but you will be surrounded by the Sound, Lake Washington, and Lake Union. If you are convinced that this city on the Pacific Northwest is for you, there is only one thing left for you to do. You must figure out how you are going to get all your belongings from your current home to your new home. We understand that moving can be a challenge, but it doesn’t have to be. With our hassle-free car shipping services, we can help eliminate some of the moving day stress. Learn more about Washington Car Shipping. There are numerous benefits to using a professional car shipping company over either hauling the car yourself or driving thousands of miles. Go the hassle-free route, and transport your car to its destination. Reduce Stress. We all know that a move can put stress on your mind and body, especially if you are planning on doing everything on your own. Driving to your new home requires hours behind the wheel. This means that you face the risk of running into traffic or bad weather conditions. Hiring a professional car shipping company is the best way to get things off on the right foot. Save Time. Imagine all the things that you could be doing rather than spending hours or days traveling to your new home. You could be getting a jump on creating new family memories in your brand new home. Flying to your destination cuts down on travel time, so that you can do just that. Spare Wear And Tear. All vehicles are susceptible to wear and tear due to long distance travels. Added mileage can mean more repairs. It could also contribute to the resale value of your vehicle. This is especially true for classic models. If this is something that concerns you, ship your car for the utmost protection and security. There are advantages and disadvantages to living in the largest city in Washington. The scenery is beautiful. The city is in the perfect location, just a short distance to wineries, ski resorts, and much more. Before making the move to Seattle, there are few things that you might want to know. Houses tend to be on the pricier side in Seattle. This puts Seattle’s cost of living higher than the national average. However, the average resident does earn more, but this still creates a problem for those who don’t earn quite as much. Seattle’s weather is often depicted as gray and gloomy, but what people don’t know is its sunny side. During the summer, you can expect it to be sunny with temperatures in the 70s. Snow is not typical in Seattle. Therefore, when it does occur, it is said that the whole city shuts down. The main way to get around the city is by car. This can cause traffic to be a pain. As we have already mentioned, Seattle is surrounded by water, and these waterways affect traffic. When a draw bridge goes up, this can create a delay. If you need to get outside of the city, you can easily do so by road or air. Hop on the highway or catch a flight at SeaTac International Airport. Seattle is home to train stations, as well. Your pup is part of the family, too. Seattle is one of the best cities to visit or live in if you own a dog because of its amenities catered to our four-legged companions. The city has several off-leash dog parks, as well as many dog-friendly restaurants, hotels, and shops. You can even take your pooch for a hike with spectacular views of the mountains. Have you ever thought about taking your dog paddle-boarding? Seattle offers places to do so. When it comes to things to do, your options are endless. With award-winning restaurants and a jamming music scene, what more can you ask for? Here are a few popular tourist attractions. Space Needle – You can’t travel to or live in Seattle without visiting one of Seattle’s most iconic attractions. The Space Needle offers 360° views of the surrounding area. Fremont Troll – The city is filled with monuments and statues, one of which is of a 18-foot troll that lives under a bridge. Chihuly Garden and Glass – This is a collection of art galleries, like no other, in which you will gain a glimpse into what inspired the artist, Dale Chihuly. The Museum of Flight – Are you interested in the Wright Brothers, exploration of Mars, or the aircraft used in WWI and WWII? If so, then this is the place for you. National Dispatch is a leading provider of car shipping services anywhere in the United States. We pride ourselves in providing high quality services at an affordable rate. By choosing us as your transport carrier, you never have to worry about anything. You will have complete peace of mind knowing that your car will arrive safely at its destination. Most auto transport companies provide an online quote form on their website. However, not all forms are like National Dispatch’s quote calculator. We believe in simplifying the quote process, so that you can get a car transport rate, quickly and easily without any gimmicks. National Dispatch’s quote is FREE, INSTANT, and requires NO PERSONAL information. All you must do is enter in 4 fields of information. If you prefer to speak with an agent, call us at 800-321-2051.